Modern House Plans by Gregory La Vardera Architect: So Called "Container Houses"
That's a nice article about containers. Just found this. I think that you have the right idea(s) on a couple of different fronts here. 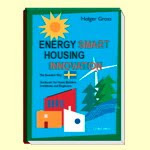 Mainly, how do you use ICU-HGM-IBUs to their best advantage and when so you just go to steel studs and OSB? Andy, there is no cut and clear rule for when you use them and when you don't. 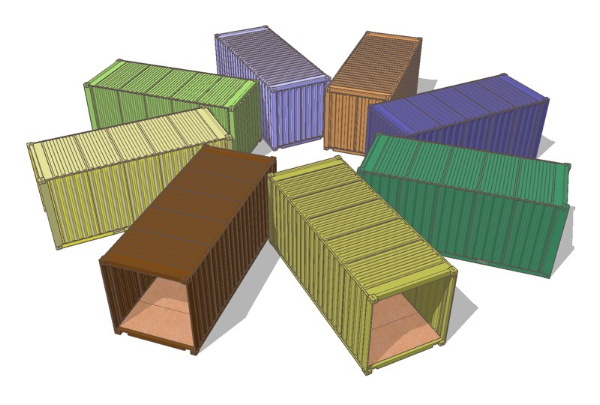 You use them because you value the re-use/recycle content they represent, you use them because of the speed of on site construction, you use them because you need the inherent strength, or you use them because you like the idea of a container house or the way a container looks as an industrial artifact. Any of those reasons are good enough for me.